Who will be using Luftikid ? 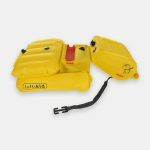 Taxi, limousine, minibus drivers: deflated and folded in its bag, Luftikid is permanently available in the vehicle: small in size and light, it is stored together with its pump. Occasional children drivers: UBER and LYFT become more and more popular. 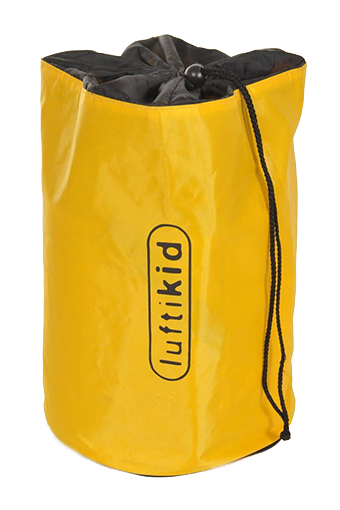 Luftikid will help them considering and taking care of the children safety offering them an air cushion (airbag kind) protection. Rent a Car companies as well as car sharing and pool sharing (such as driving children to schools). A Luftikid stored in the trunk will be easily and quickly installed and removed. 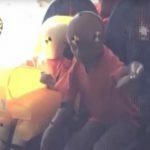 You are flying abroad: your Luftikid will be installed in the taxi on the way to the airport; your child will carry it in the bag to the airplane where it will be inflated again, and so on. 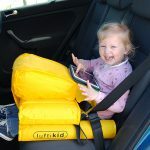 Luftikid is the only children’ seat approved for both car and airplane use. When travelling abroad with a hired car, no traditional safety chair will have to be rented (Luftikid purchasing’ cost is equivalent to 4 to 12 days traditional chair’ rental). You only occasionally carry children and, therefore, you do not necessarily have a traditional -voluminous and heavy to manipulate- safety chair available. 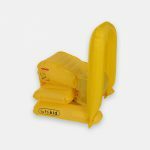 No problem: you inflate your Luftikid: it is easy for you and safe for them. 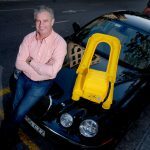 Sharing cars is becoming more and more popular: in case of car-sharing, car-pooling, or even «car-squatting», take your Luftikid with you and you will not bother others. Your child will only use a minimum of space: up to three Luftikid can be installed on the rear seats. It is not possible with traditional safety chairs. Why purchasing for your personal usage only ? Robust, easy to clean, Luftikid can be shared with the family, the neighbors, friends, Airbnb, etc..
Children living in different locations will carry the small bag with them; the respective cars seats or trunks will not be permanently occupied with traditional safety seats. You have more than one car: professional or even collection (Classic cars), sport cars with limited trunk space: thanks to its small size and light weight, Luftikid will find its storage room. Flexible, it will also be easier to install on formed sport seats. 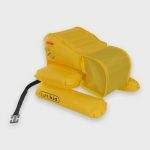 It will even fit in private planes its anti-depressurizing gauge has been designed for airplane usage.